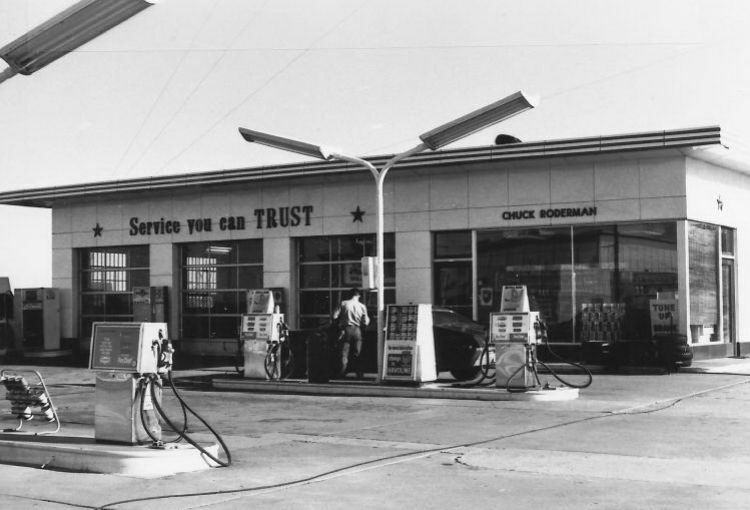 This gas station was originally R & R Texaco, later Don Marstal's Texaco. At the time of this 1967 view, it was operated by Chuck Roderman. The present building on this site once housed Pier One Imports, which closed in 2006.